With fuel prices constantly fluctuating, it can be a challenge to find a good deal at the petrol station, making it hard for consumers and small businesses alike to keep money in their back pockets. While savvy shoppers utilise fuel dockets from their local grocery shop, or don’t mind driving a bit further for a good deal, many petrol station chains offer another way to save money – the fuel card. With many offering discounts on fuel, as well as deals on vehicle expenses and purchases made in-store, fuel cards have become an increasingly popular savings tool for many motorists, with the decision now falling to which fuel card to go with. With fuel often a big expense for businesses, which card you decide to go with may impact on your bottom dollar, making it a tough decision for some. 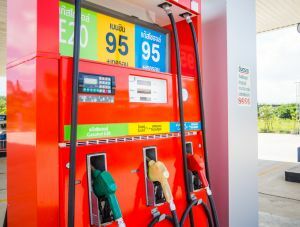 One option for Aussie consumers and businesses to consider is the StarCard, the fuel card from fuel giant Caltex. With more than 1,900 locations available for motorists across Australia, Caltex certainly has the reach to help businesses stay mobile, with other extras and discounts also available. Read on to find out just what you can save on the next time you fill up. While it may be the only fuel card on offer from Caltex, the StarCard has plenty of features and extra perks available to make a difference on motorists’ bank accounts, including options such as roadside assistance and car servicing. With a basic fuel card setting you back $2.95 a month per vehicle, those constantly on the road will benefit from the savings from the StarCard. With the StarCard, consumers can expect to save 4c per litre on Vortex Premium fuels, as well as 2c per litre on regular petrol and diesel, in addition to a handy 10% off packaged engine oils and 5% off various selected items in participating Caltex stores. On top of the financial benefits, StarCard offers businesses plenty of administrative benefits too, allowing all transactions and records to be easily found and extracted, handy for when EOFY comes around. StarCard transaction history can also be extracted into accounting software Xero, ideal for those businesses constantly on the go. 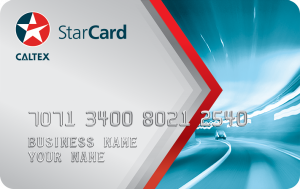 For those after a bit more protection and peace of mind for when they’re on the road, StarCard also offers additional extras such as Services & Repairs, Roadside Assistance and Toll Assistance to ensure that you keep moving. The Services & Repairs option will cost you an extra $2 per month per vehicle, but can provide you with up to 15% in savings on particular brands and services, with StarCard’s members also granted access to exclusive deals. To further benefit drivers, Caltex has teamed up with Kmart Tyre & Auto, Bridgestone, UltraTune, Bob Jane T Mart, Bearurepaires, Jax Tyres, Tyrepower, O’Brien Autoglass and Marshall Battereis to set up drivers with what they need. With over 5,000 participating stores, drivers can locate a participating store via Caltex’s Merchant Locator on their website. While the Roadside Assistance option is the most expensive option available with StarCard, potentially setting you back $5.25 a month per vehicle, it may also give drivers the best peace of mind while on the roads, with plenty of features and benefits available from the option. Roadside Assistance includes unlimited callouts for minor mechanical breakdowns, inflation of flat tyres, replacement of a flat tyre (if you have a spare) and no extra costs for towing up to 30kms. Services such as longer towing, wheel changing, battery replacement, emergency fuel provision and key lockouts are also available, with all additional costs simply charged to your StarCard account. The final additional extra available with the StarCard is the Tolls option which, for 50c per month per vehicle, will get consumers a Caltex toll tag, which can then be linked to your StarCard account. Optimal for those who don’t like taking the long way, the Toll option requires no deposit or minimum balance. For many, the possibility of racking up airline points can be a strong incentive, as the allure of bumping up to Business class, or scoring items at a discount, can be tempting. With Caltex’s StarCard, motorists will be able to score Qantas Points while filling up on petrol and in-store goodies. Filling up on Vortex Premium fuels will earn you one Qantas Point per litre, while regular petrol and diesel will earn you a point every two litres. Additionally, for every dollar spent on certain in-store purchases, along with servicing and repairs, will also earn you one Qantas Point. Alongside Qantas Points, the Caltex StarCard also enables consumers to sign up to the Qantas Business Lounge, all without the usual $89.50 sign up fee, helping consumers to reap the benefits of additional savings and points on select purchases. Is a Caltex fuel card worth it? A fuel card can be a handy addition to your wallet, with plenty of benefits available to not only improve your bank balance, but also improve the drive as well. While there are plenty of options to choose from, selecting one that best suits your circumstances and business can become an issue, meaning it’s best to do some research before you sign up. Caltex certainly has consumers covered when it comes to convenience, with numerous outlets available and a large support network to help motorists keep their cars healthy, with the added bonus of Qantas points for those looking to possibly travel interstate or overseas for business. Despite this, however, undertaking your own research is still the best option, as you may find another option better suited to your driving habits and business plans.